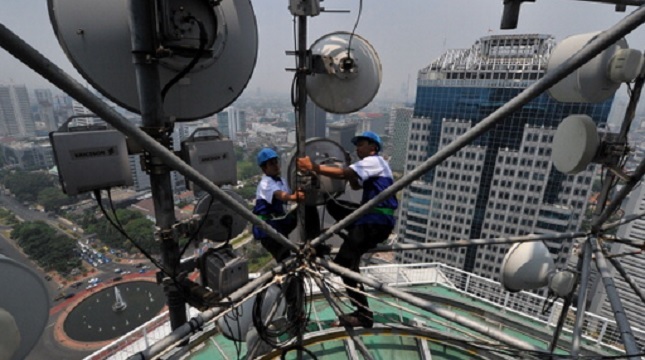 INDUSTRY.co.id - Jakarta, After the earthquake that struck Lombok and Sumbawa Islands, to this day Friday (08/24/2018) morning, based on the monitoring of the Class II Mataram Frequency Spectrum Monitoring Center in NTB, 915 2G, 3G and 4G site base stations can be used for telecommunications needs. Total base stations that cannot be used are 36 base stations. The distribution is as follows: 14 units of base stations in North Lombok, 6 units in East Lombok and 6 units in West Lombok. Meanwhile in the city of Mataram, there was 1 unit of bases stations and Sumbawa regency 2 units of base stations. Electric power supply problems are a major obstacle. In addition, there are obstacles to accessing the road to the base stations location so that hardware improvements such as transmission devices and troubleshoot applications cannot be done optimally. For bases stations that experience power supply constraints, telecommunication operators have now replaced reserve batteries and placed generators.